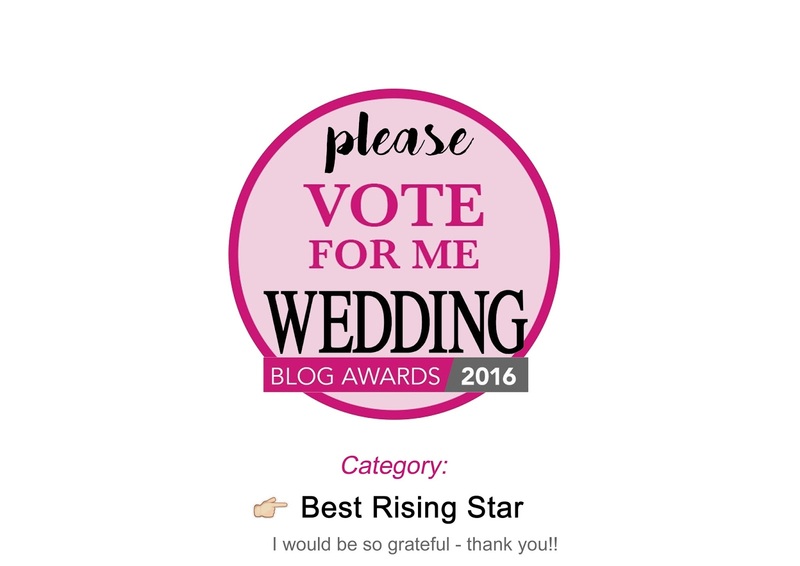 I’m Shortlisted for a Wedding Blog Award! I was truly touched by everyone’s messages and well wishes when I posted in July that I needed help to get nominated for the Wedding Blog Awards (click here to see the post). I am now delighted to tell you that I’ve been shortlisted! I found out on Friday and could not be more thrilled. Sorry for all the social media spam if you’ve seen this already, I am just too excited…! Thank you SO much to everyone who nominated me, it truly means the world. I wonder every day if I made the right decision to leave my job to pursue my passion, so this really means a lot. It was my goal just to get nominated, but now I’ve been shortlisted I thought I may as well just go for it! It is a bigger step amongst all the other baby steps I’ve been taking so far – it was so scary leaving my job back in June, but this now feels like I might be getting somewhere. Thanks to everyone for getting behind me, and for all the nominations, but I need you to vote again…! Sorry!! This is now to actually win the award! It’s MUCH easier this time and is just one click then your name + email, that’s it! Voting closes on Fri 30th Sep, then I go to the glitzy awards bash (presented by Mark Wright at the glam Andaz Hotel at Liverpool St) on Fri 21st Oct to see if I’ve won! To be honest I’m not holding out much hope, as just to get nominated has been amazing. My main anxiety right now is what I’m going to wear though, never mind actually winning…! Follow me on Twitter and Instagram to see what I’m up to in the lead up to the awards. Any votes would be really, really appreciated, and a big thanks for popping along to read my blog.